In a striking bit a news today, Fantasy Flight Games has announced the acquisition of the Legend of the Five Rings brand from Alderac Entertainment Group. In announcements on both the Fantasy Flight Games website and the AEG website, both companies have announced the shift. 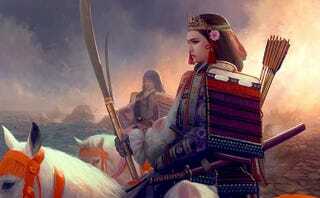 Personally, a great deal of my tabletop experiences over the last few years have been L5R related. I’m both excited and worried to see it change direction, but have no doubt that it is in good hands with FFG. The real unfortunate part is that we may not see anything for it for nearly 2 years, as the announcements suggest the new product won’t come out until Gen Con 2017. The last two products for the line at AEG will be Evil Portents for the CCG and Atlas of Rokugan for the RPG.